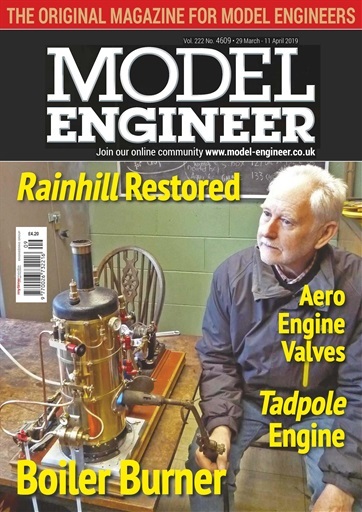 Entry form and rules for the Model Engineer Competition to be held at the National Model Engineering Exhibition at Doncaster in May are included in this issue – the entry deadline approaches! Martin Gearing presents two options for a burner for his vertical boiler; a commercial ceramic burner or one that you can make yourself quite simply. Graham Sadler puts together the electronics for his Sieg CNC conversion. 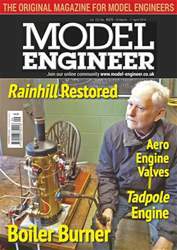 Mick Knights machines the valves and valve seats for his quarter scale Bentley rotary aero engine. 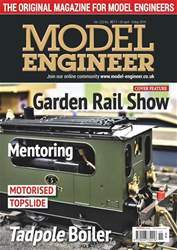 John Arrowsmith looks back at the London Model Engineering Exhibition held recently at Alexandra Palace. Ted Joliffe shows how a few minutes’ work can save you pounds with his latest gadget. 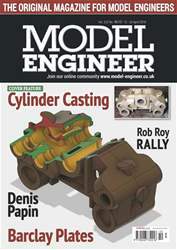 Norman Barber remembers his first workshop, inherited from his grandfather and looks back over the models constructed in it. David Haythornthwaite machines the main bearings for the Model Engineer Beam Engine. Roger Backhouse continues his cruise on a Clyde Puffer and enthuses over the joys of a holiday afloat. Chris Rayward forms the smokebox for his LNWR D tank locomotive and machines a door for it. Doug Hewson concludes his series on the construction of signals for a miniature railway by looking at GNR somersault signals.